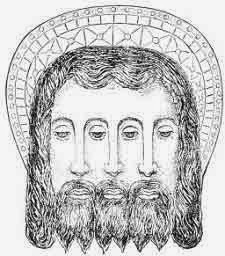 Mormons today believe that God the Father, Jesus Christ and the Holy Ghost are three separate persons who together constitute “the Godhead”. This concept of God cannot be found in the first edition of the Book of Mormon, however. The idea of God in the Book of Mormon closely resembles the traditional Christian doctrine of the Trinity. In 1 Nephi 13:40 in the 1830 edition (p. 32) it says “the Lamb of God is the Eternal Father and the Saviour of the world”. In later editions, this was changed to “the Lamb of God is the Son of the Eternal Father, and the Saviour of the world (Book of Mormon 2013, p. 27). These changes have only been applied to the first part of the Book of Mormon. Examples of later verses in which the Trinitarian image of Gods was retained, are Mosiah 16:15 and Alma 11:38-39, in which Jesus is called the “Eternal Father” (Book of Mormon 2013, pp. 179, 236). In the King James Version of the Bible Joseph Smith used, Luke 10:22, for instance, reads: “and no man knoweth who the Son is, but the Father; and who the Father is, but the Son, and he to whom the Son will reveal him”. Joseph Smith changed this to: “Ànd no man knoweth that the Son is the Father, and the Father is the Son, but him to whom the Son will reveal it” (Joseph Smith’s “New Translation” of the Bible 1970, p. 402). In the King James Bible, 1 Timothy 2:4 reads: “Who will have all men to be saved, and to come unto the knowledge of the truth”, to which Joseph Smith added: “which is in Christ Jesus, who is the only begotten Son of God, and ordained to be a Mediator between God and man; who is one God and hath power over all men” (Joseph Smith’s “New Translation” of the Bible 1970, p. 496). The modern Mormon ideas about the nature of God with which this article started, emerged in the second half of the 1830s. Until about 1835, the Mormon concept of God, as reflected by the Book of Mormon, Doctrine and Covenants and other contemporary sources, was essentially Trinitarian (Alexander 1980). It needn’t be a problem that Joseph Smith’s ideas about the nature of God evolved over time, except that it doesn’t square with the first vision which he recorded in 1838/39, and which was later canonized in the Pearl of Great Price. In this account of his first vision, Joseph Smith claimed to have seen God the Father and Jesus Christ as two distinct persons (Pearl of Great Price 2013, p. 49). Today, the first vision occupies a central place in Mormonism. “Our whole strength rests on the validity of that vision. It either occurred or it did not occur. If it did not, then this work is a fraud. If it did, then it is the most important and wonderful work under the heavens” (Hinckley 2002). The scriptural context as briefly explained in this article seems to indicate that the first vision did not occur. The historical context and the lack of contemporary sources also point in that direction.